Woodland Creek offers a large selection of industrial chic furniture designs. 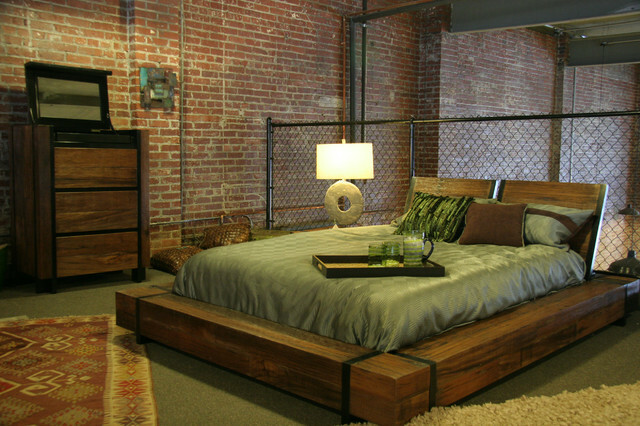 This unique industrial chic wood bed is shown in reclaimed wood. It can also be made with other solid woods. Visit our web site to see over 2,000 unique products.